Written and Recorded by Nik Tymoszewicz. 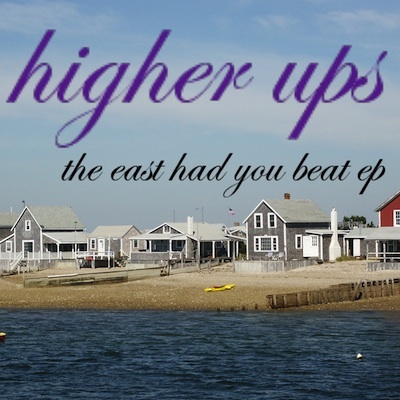 The Higher Ups is the brainchild of the sweetest dude I know, Nik Tymoszewicz. For a while Nik was the gas man, then he was the inspector man. I asked Nik why he didn't sing on his songs and he told me it was because he thought he sounded like a muppet. "i think its just a reference to the fact that the east had ontario beat out for my decision that i made last week on going back to school . . . . "you " in the title is Ontario. . . or Ryerson. . . however you want to look at it. its kind of a goofy title i know. . . but that was the first thing that came to me. out."